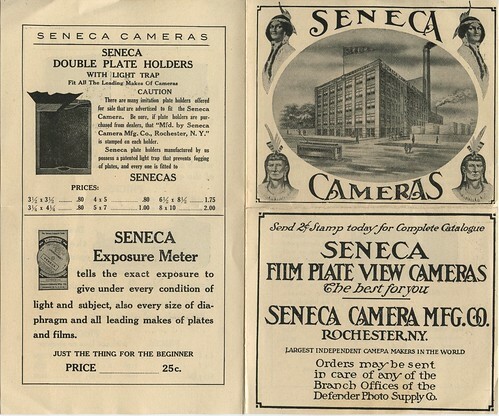 Seneca Camera Mfg. 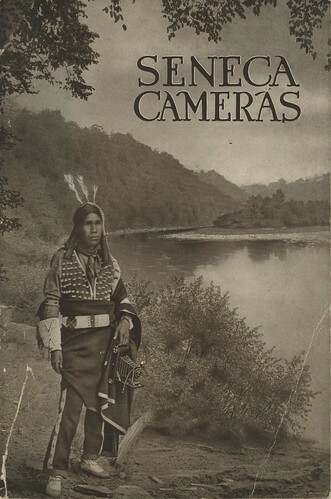 Co. was a camera maker based in the American photography capital Rochester, New York. The company was founded at the end of the 19th century. 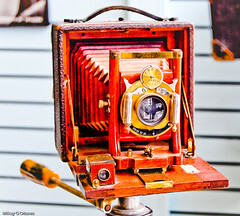 Its chiefs were the former superintendent at Kodak Camera Works Frank T. Day, president, William C. Whitlock, vice-president, and Lorin E. Mason. They bought the assets of the Sunart company which was not very successful. Seneca itself managed to get a larger share of the American camera market. 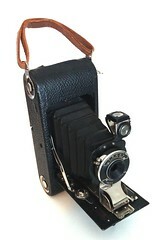 It made a series of simpler cameras for everybody, mainly the Scout series of box cameras and rollfilm folders. 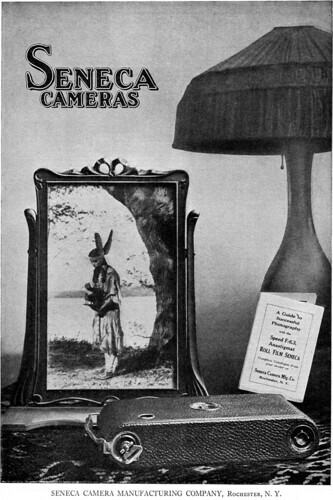 And it made several big view cameras like the Seneca View, Competitor, plate box cameras like the Kao Sr., and folding bed plate cameras like the the No. 29 Pocket Seneca, the Black Beauty and the Seneca Chautauqua. 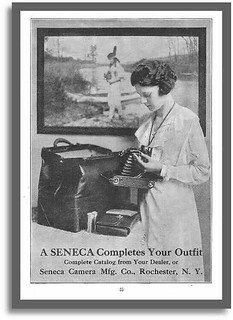 Of course Seneca put some products into other popular market segments, for example the Vest Pocket Roll Film Seneca Camera. The name of the company was derived from the name of the Seneca-Iroqois Red Indians. A county in the state of New York was already named after them. Many ads and advertising brochures of the company showed Indians as eye-catchers. 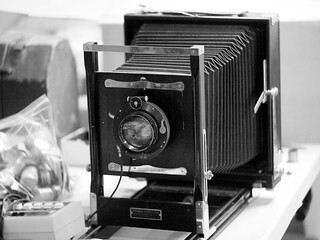 The company also made tripods, darkroom equipment, and adapters to use film packs on plate cameras. Pocket Seneca No. 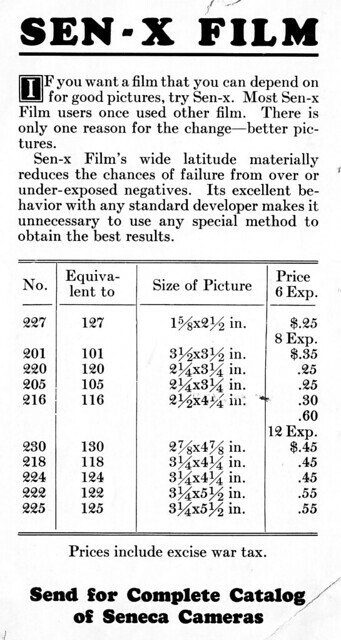 29, 3¼×4¼"
Pocket Seneca No. 31, 3¼×4¼"
Pocket Seneca No. 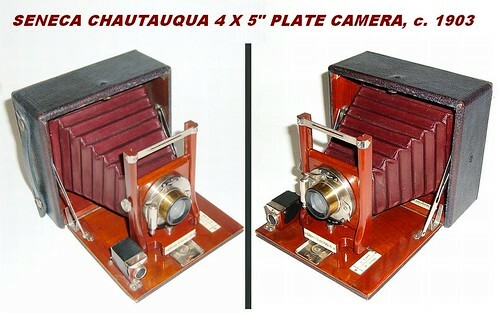 32, 3¼×4¼"
Pocket Seneca No. 33, 3¼×4¼"
Seneca View, 5×7" or 6½×8½" or 8×10"
frame size 2¼×3¼" 2½×4¼" 2 7/8 × 4 7/8 " 3¼×4¼" 3¼×5½"
This page was last edited on 17 January 2019, at 21:41.